If I had all the time in the world I would bake so many more cakes. I feel like I reference movies frequently when talking about cake. Another food-inspired favorite is Chocolat, largely because of one scene where the little boy is offered cake, and says he's not supposed to have sweets during Lent. His Grandmother replies with "don't worry so much about not supposed to" and that is how I feel about cake. It is always a good time for it. This was my first time diving into the realm of cornbread cake. Whenever I start testing baking recipes it tends to be a bit of trial and a lot of error. This cake was no different from the rest (meltdowns over ratios included) but the final hero cake was worth the extra effort. 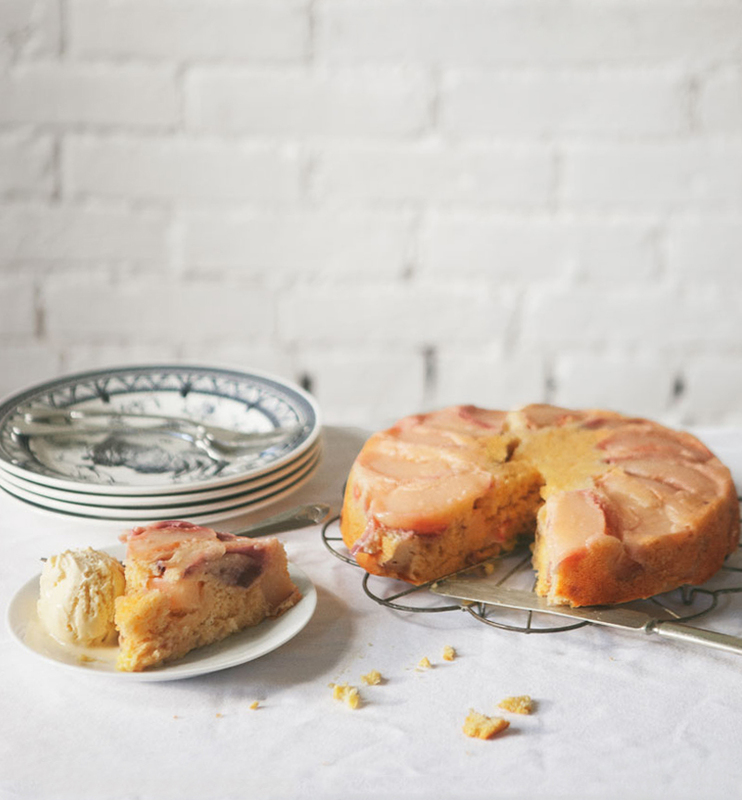 If you have a few almost too ripe peaches sitting around this is the recipe for you. 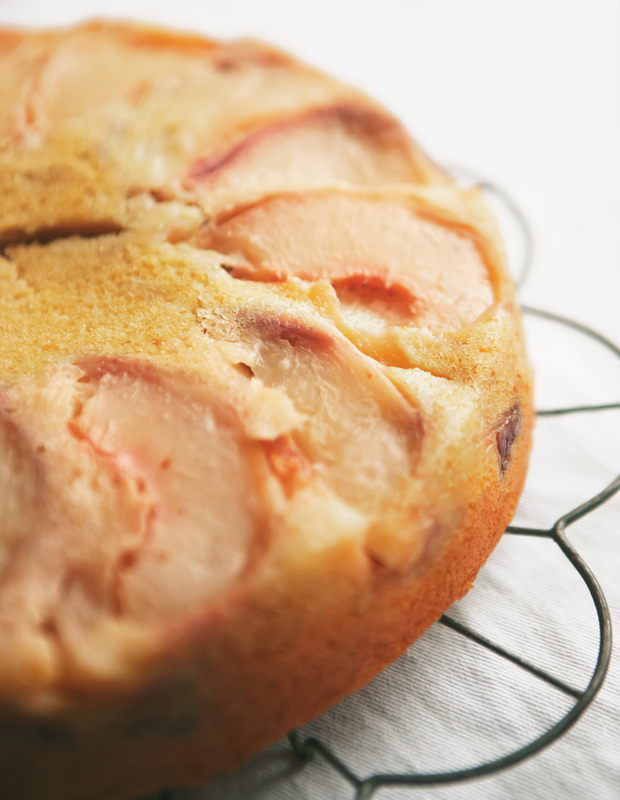 You really want that extra sweetness of the overripe peach in the batter to offset the savory cornbread. Preheat oven to 350° and prepare a round 9” pan with cooking spray. Quarter two of the peaches and cut into thin slices. Layer the peach slices in a fan shape on the bottom of the pan, covering the surface all the way around. Mix the first five ingredients until well combined and set aside. Using a mixer, combine honey, milk, oil, eggs, and butter. Dice the remaining peach into small chunks and stir into the wet mixture. Pour wet ingredients over the dry and stir until just combined. Pour batter evenly into the pan, covering the peaches and smoothing the mixture as needed. Bake for 40 minutes until golden brown and cooked through. After removing from oven let cool up to one hour. Once cooled, gently flip the cake over onto a serving plate. Serve slices with vanilla ice cream.